Outstanding service with a smile — that’s the “big idea” at Klein Dentistry in Grandville, MI. A simple concept that creates bright smiles from our patients! Whether you’re coming by for a professional cleaning or dental sealant or maybe undergoing a more complex procedure such as a root canal or implant, the team at Klein Dentistry cares for every patient with the utmost expertise, friendliness and attention to detail. Get affordable, professional dental care without insurance! 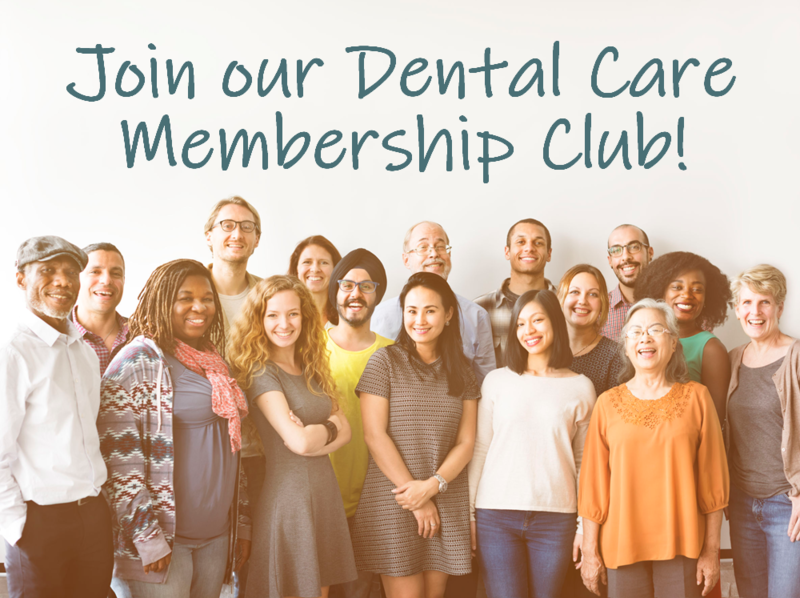 Join our dental care membership club and you’ll get 2 cleanings per year, exams and x-rays at no additional charge. Great for kids and adults, our club has many perks that will keep your mouth healthier and your smile brighter all year long. You can even join our club if you have periodontal disease. Together, we can ensure your oral heath for years to come! Our preventive dental services include professional cleanings and x-rays, sealants, fluoride treatments, and many other procedures proven to slow or impede tooth decay, gum disease, excess wear, injuries, cysts and more. High-quality preventive care helps you maintain a healthy mouth for life. Support your oral health and happiness by visiting Klein Dentistry on a regular basis for professional cleanings, hygiene therapy and general dental care. We know each patient by name and strive to develop personal relationships with everyone who walks in the door. We look forward to assisting you with all aspects of preventive care – from cleanings and exams to sealants and bite guards – ensuring a history of strong dental health that helps you look and feel great for years to come. Every professional dental cleaning is different, based on each patient’s home-care routine and the overall health of their mouth. More than just a regular ‘cleaning’, with expert dental hygiene therapy we take great care to remove hard and soft deposits on your teeth to prevent disease. Our friendly hygienists have excellent clinical know-how that results in a fast and enjoyable experience for every patient. During your exam, Dr. Klein will thoroughly examine your teeth, gums, soft tissues, jaw bone, temporomandibular joint, glands, tongue, and facial structures, noting any changes from your last visit, and expertly advising you on the preventive health of your mouth. 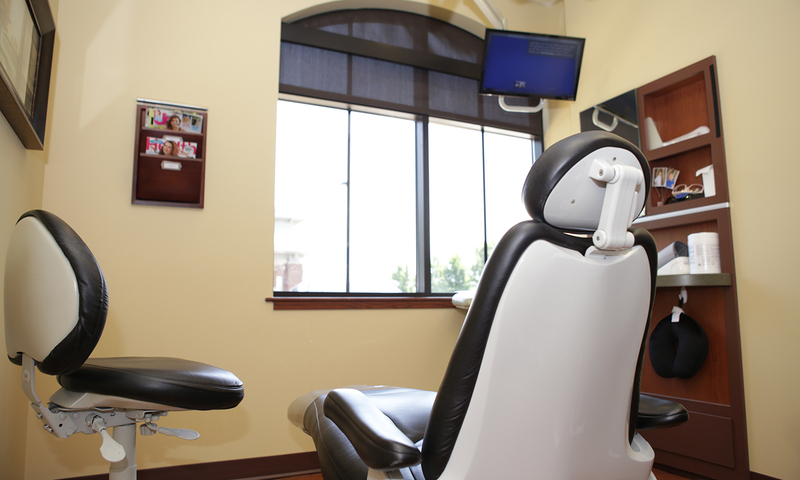 Expect quality care, a gentle touch, and friendly smile at each and every visit to our office. Also known as x-rays, dental radiographs allow us to see between teeth, below gums and down to the roots. Digital radiographs take old-fashioned film x-rays to the next level, providing more detail and far less radiation. They are a critical component to catching dental disease as early as possible, which ultimately keeps your mouth healthier with less expensive treatments versus major dental work down the road. An important part of a preventive dental care program, fluoride is an effective way to prevent cavities and tooth decay, and it only take a few minutes at our Grandville, MI dentist office. After the treatment, you may be asked not to rinse, eat or drink for last 30 minutes, but that’s a small price to pay to extended dental health and decay prevention! Sometimes it’s difficult for your toothbrush to get in-between the small cracks and grooves of young teeth. Sealants can give your teeth extra protection against decay buy filling in those hard to reach places and helping to prevent cavities. If you frequently have jaw pain, earaches or headaches, or if you find yourself clenching your jaw or grinding your teeth at night, or even if you snore or have sleep apnea, investing in a bite guard may be right for you. Also called a night guard or an occlusal guard, they are custom-made by Dr. Klein to fit your bite just right and improve your slumber and overall oral health. We can also custom-fit athletic mouth guards for teens and adults. Regular exams and hygiene therapy are the key to a healthy mouth. The easiest way to prevent tooth decay and gum disease is by maintaining a consistent home dental care regimen in addition to regular hygiene treatments and exams in our office. At Klein Dentistry, we help you develop a home care program that’s unique to your needs and through regular dental check-ups and x-rays, can help identify potential problems early, offering comfortable and cost-effective solutions. Even if you don’t have dental insurance, we can help you prevent periodontal disease! Our Dental Care Membership Club has you covered for regular cleanings, exams, x-rays sand more. Learn about the club. Restorative dentistry at our practice in Grandville, MI can replace and repair teeth, restore your ideal bite, and strength the integrity of your smile. Offering fillings, advance dental solutions, crowns, dental implants, root canals, and more, trust Dr. Klein to restore your smile to its natural strength and splendor. Top-quality care to restore your smile. Sometimes unexpected accidents, health conditions or decay over time causes you to seek out dental restoration services. Klein Dentistry offers expert procedural care, minimal discomfort, and a solution-based approach to every restorative experience, guaranteeing quality treatment and care you can count on. Crowns strengthen teeth back to optimum integrity and at Klein Dentistry in Grandville, they are created with exceptional detail, blending in with your surrounding teeth ensuring enhanced performance, comfort and cosmetic appeal. We recommend Ceramic crowns not only for their esthetics, but also for the durability they provide with only one layer of material, versus the 2 layers in porcelain/metal crowns. Dentures are natural looking and feeling replacement teeth that are removable. 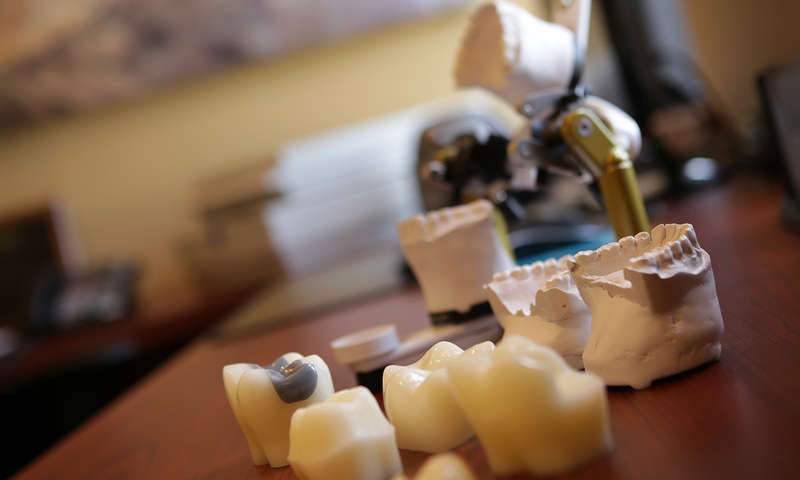 We offer full and partial denture fit, placement and maintenance services. We are there to guide you through the process from start to finish, helping you achieve oral health and happiness. We offer several types of fillings including amalgam (silver), composite resin, white ceramic, porcelain and gold. 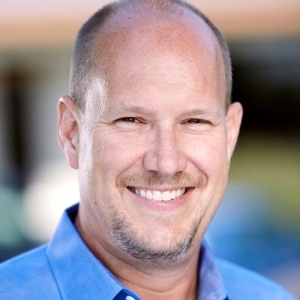 Dr. Klein works with each patient to identify the kind of filling and process that is best and least invasive– maximizing comfort, effectiveness and esthetics. This procedure is called for when a tooth becomes abscessed or infected, saving it from extraction and restoring the tooth to natural functionality. You can rely on the team at Klein Dentistry to assist you with this process, providing quality, approachable care and restoration. When it’s necessary to remove a tooth, Dr. Klein and his Grandville office support team consistently provide quick dental care that reduces pain and discomfort, helping you along the path to oral recovery. They also work with you to identify next steps that are specific to your dental care plan. When a tooth has been lost, a dental implant allows for replacement, with the added benefits of preventing bone loss and the shifting of teeth. The implant (titanium root) is placed by a specialist and then Dr. Klein builds a natural looking replacement to restore your smile. Dental bridges can fill large gaps between teeth using two or more crowns made of gold, alloys, porcelain or a combination of these materials. They surround real teeth or implants to restore your smile and function of your mouth, including chewing, bite alignment and help to prevent missing teeth from drifting. Sometimes the early stages of periodontal disease can be treated with non-surgical periodontal therapy. Often called scaling and root planing, this involves the removal of bacterial plaque and tartar that has worked its way under the gum line and cannot be removed during a regular dental cleaning. Dr. Klein and his team work with you to achieve periodontal health through non-invasive, non-surgical procedures, getting you back on the path towards dental health and happiness. A great way to reshape front teeth, close spaces, restore the shape of a tooth or mask enamel defects, dental bonding is a great alternative to more invasive or expensive dental procedures. A tooth-colored, durable resin is attached to the tooth with a special light, then shaped with specialized dental tools. Bonding can last for years if well taken care of with standard dental hygiene and care to not use your teeth to bite your fingernails or chew on very hard objects. Achieve a brighter, younger looking smile through teeth whitening treatments. We take into account your oral health history and type of discoloration prior to service and include custom molded trays and professional grade whitening gel you can use as part of your at home dental routine. A flexible approach to dental restoration. Our experienced team has the knowledge, background and equipment to restore your smile and oral health back to its natural state. We focus on replacing or repairing teeth, restoring bite, and strengthening your mouth to ensure not only a healthy smile, but optimum function, allowing you to eat what you want, when you want it. Schedule an appointment with us today to learn more. Take dental restoration to the next level with advanced techniques that can restore your mouth to its ideal health, esthetics and function. With incredible attention to detail, excellent clinical diagnosis and a expert team of specialists, Klein Dentistry can help you feel and look and your best with a complete and results-based approach to rejuvenating your mouth and creating a natural-looking smile you love. Advanced dental rejuvenation creates a new, natural-looking smile. Your smile is one of your most important features, and whether it’s a few minor alterations or rehabilitation of your entire mouth, Dr. Klein and his expert team have the know-how to provide you with your ideal grin! We offer a variety of advance treatment options, helping you achieve a beautiful and healthy smile, no matter your age or dental background. With access to the latest dental tools for detecting issues within, between and below your teeth, coupled with decades of experience and education, Klein Dentistry provides cutting edge dental diagnostics. Far beyond traditional x-rays, radiography and other technologies allow us to more fully understand the issues, identify the solutions and fully fix even the most complicated problems to give you the smile you’ve always dreamed of. When a tooth is removed or lost, it can take a toll on your smile, but Dr. Klein can help! Working with an implant specialist, the implant (titanium root) is professionally placed and then Dr. Klein builds a natural looking tooth replacement to restore your smile to its original brilliance. This can even be done with dentures or bridges. Dental implants are a wonderful solution for patients who experience permanent teeth loss due to injury, accident or decay. Smile design is the process of using advanced diagnostic techniques to improve the overall look of your smile. Dr. Klein will provide a full diagnosis of the problems, and then create a plan to restore your mouth to its optimal health, esthetics and function. It improves the level of communication about the process and helps you to understand each step and create a plan that’s right for you. Porcelain veneers are thin porcelain facings, bonded to the front of a tooth to create an improved appearance. They are often used to cover discolored, chipped or misshapen teeth, or to even out crooked teeth or unwanted spaces between teeth. They are made to fit best based on form and function, resulting in a show-stopping smile you’ll love. Beyond bite guards, a full bite analysis can help to not only relive the symptoms of TMJ, but restore your jaw and teeth to their ideal location. Dr. Klein can identify exactly where your bite is misaligned, and help you understand the best options to realigning it. If you suffer from jaw pain, frequently broken teeth, headaches or other related issues, Dr. Klein can help! Increase self-confidence and reverse dental imperfections. Expect cutting-edge techniques and expert cosmetic dental care from Klein Dentistry. Stop letting missing, chipped, discolored, or crooked teeth prevent you from living life as you want to. Contact our practice today and schedule your smile makeover. Home care and regular exams and cleanings are the key to mouth vitality and health.